KEMET Corp., a South Carolina-based technology manufacturer, plans to move its U.S. headquarters into 51,286 square feet at 1. E. Broward Blvd. in downtown Fort Lauderdale, FL. The company expects to relocate 150 employees from South Carolina to the 4-Star building in the first quarter of 2018. KEMET operates 23 production plants in Europe, North America and Asia. It employs 10,420 people worldwide. 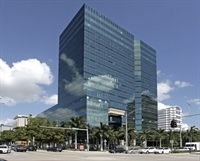 Ivy Realty Services LLC bought the 19-story, 350,743-square-foot building in 2011 from One Broward Blvd. Holdings LLC for $42 million, or $120 per square foot, according to CoStar data. Built in 1984, the property features a grand lobby, full-service restaurant, cafe and sundry shop, drive-up ATM, 24/7 security, connected parking garage, and an Energy Star label for operating efficiency. The largest tenants in the building are Becker & Poliakoff and Capital Collateral Regional Counsel. KEMET’s move follows a 9,679-square-foot lease expansion and renewal by Alms Health in the building, and Veritext’s recent renewal of 4,039 square feet there. 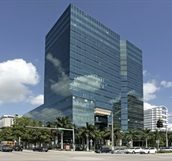 Cushman & Wakefield’s Travis Herring, Deanna Lobinsky and Katherine Ridgway represented the building owner in lease negotiations. 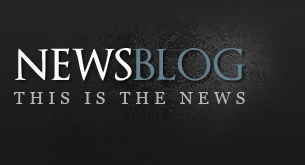 Newmark Grubb’s Jim Hollis and Michael Warren represented KEMET. Steven Evans of Platinum Properties represented Alms Health, while Zach Wendelin with CBRE represented Veritext.